The Nashville Supreme Court building, completed in 1937, is on the National Register of Historic Places. 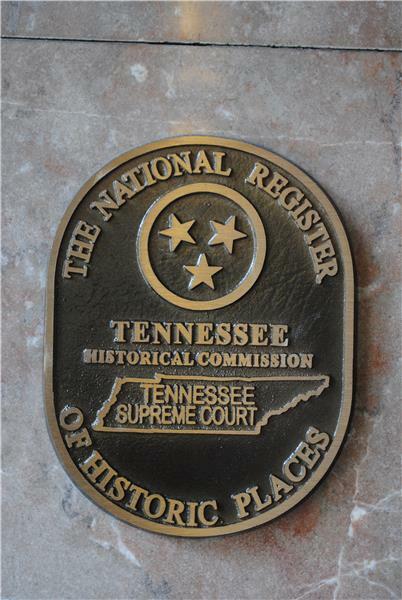 A marker was recently placed just inside the doors of the Tennessee Supreme Court Building in Nashville, officially noting the building’s place on the National Register of Historic Places. The building celebrated its 75th anniversary in 2012. 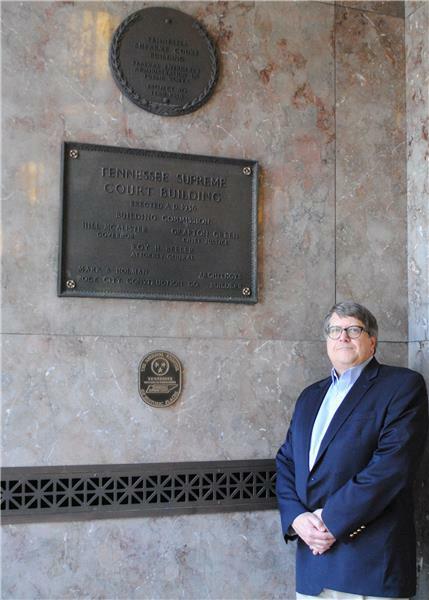 The Nashville architectural firm of Marr and Holman designed the Tennessee Supreme Court Building. Construction was funded under the Public Works Administration and completed by Rock City Construction in 1937. This building was constructed as the first building specifically for the Supreme Court’s use. Architecturally, the building is described by historians as “a fine example of the Stripped Classicism style popular in the 1930s and 1940s.” Details on the building include the Doric capitals, a cornice embellished with classical images, multi-pane windows, marble interiors and historic lighting fixtures. The building is used by the state’s Supreme Court, Court of Appeals and Court of Criminal Appeals. It also houses a museum of state court history that is open to the public. The building is one of six sites in Tennessee to gain the recognition in 2014. 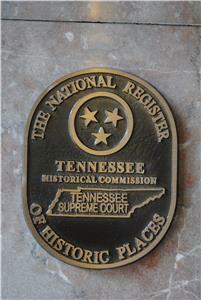 The Tennessee Historical Commission administers the program in Tennessee, which is part of the National Register of Historic Places. The Register is the nation’s official list of cultural resources worthy of preservation. It is part of a nationwide program that coordinates and supports efforts to identify, evaluate and protect historic resources. Court of Appeals Judge Andy Bennett in the foyer of the Nashville Supreme Court Building.